A new monthly product service started a few months back and after hearing about it from Jenny (Miss Jen Fabulous on Youtube) I decided to try it and see if it was worth it. 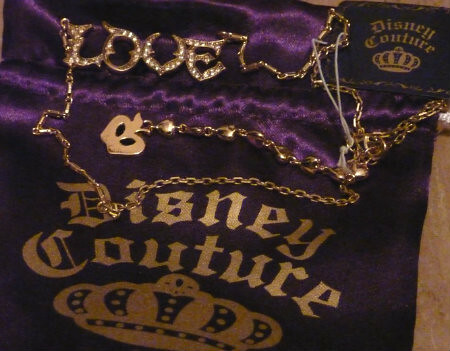 The service cost $49.95 a month for designer products. The concept of this one is very different from many of the other sites though in the fact that after you take the style quiz and you get shown your showroom and while you can still favorite and add things to your showroom you do not automatically get every item you purchase. You get to pick one item you REALLY want to have and then after you check out the team will add 2 other items to your bag and that’s when the real fun begins. After you see the other items in your bag, you can trade with other members on the site for items you would rather have in your bag and they can trade with you. You have 7 days to trade before your bag ships, however if at any point during the 7 days you decide that you are completely satisfied with your bag you can choose to ship it and get them items you want. 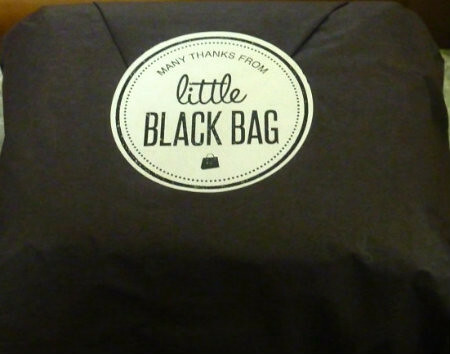 I decided to try Little Black Bag to see if the service was actually worth the money. 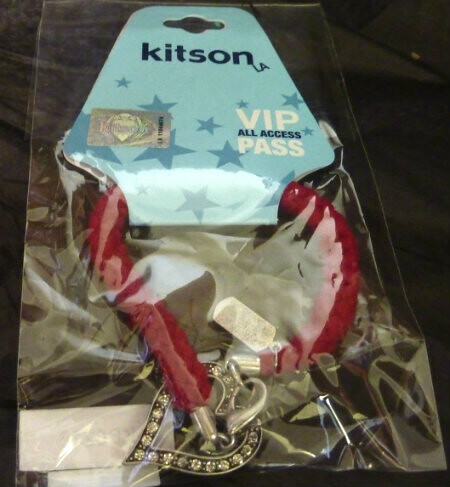 In my first box I picked the Kitson heart bracelet to receive. 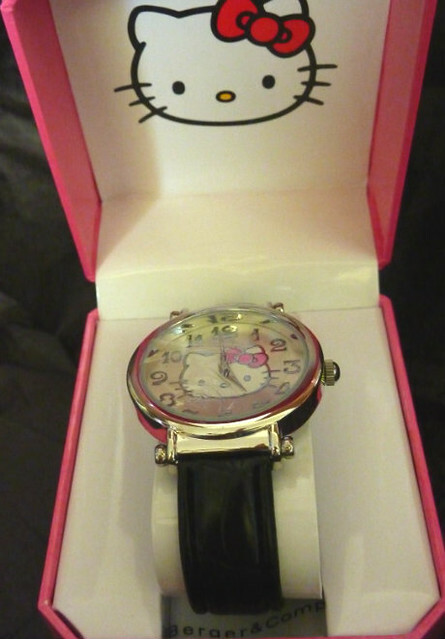 I also had wish listed the Hello Kitty watch for my boss”s wife and found someone who wanted to trade the item I had in my bag for the watch. The Two’s Company Skull and Crossbones Decanter I was offered many items to trade for it, but ultimately when KonaBoy said that he would not mind the Decanter for his apartment I decided to get it. My box was shipped and I received it via UPS 10 days later. 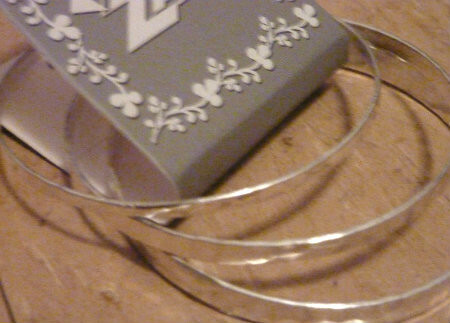 It came in the box pictured below, apparently the same box comes in various sizes. 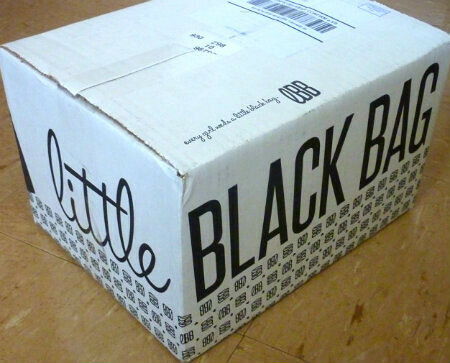 The items comes wrapped like gifts and in the fashion of the company comes wrapped in black tissue paper with the company’s seal as pictured below. Both the Hello Kitty watch and the Kitson bracelet arrived safe in their packaging. The decanter however did not arrive safely. The moment I opened the box and heard the rattling I knew something was wrong. When I opened the box that held the decanter I found that the cork for it was in one piece, but that the rest of it was completely shattered to the point that I did not even get to take it out of the box. See the pictures below. 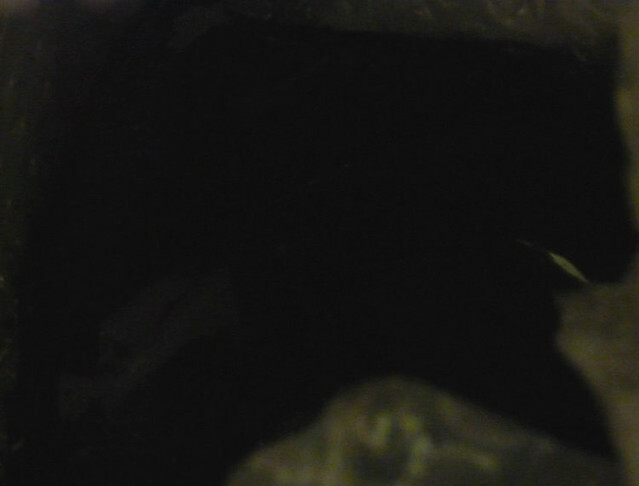 The best picture I could get of the damaged decanter. After I took a look at the packaging for the decanter and knew that the company should have packaged it better, but maybe that comes from my years of encounters with the postal service. I contacted customer service the day I received my box and explained that the decanter came broken. Within the next business day I received an answer to my customer service issue and they offered to add another item to my box for the following month. 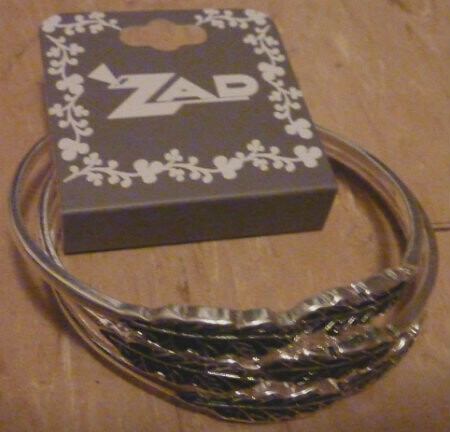 The next month I picked the ZAD set of 3 leaf bracelet set. 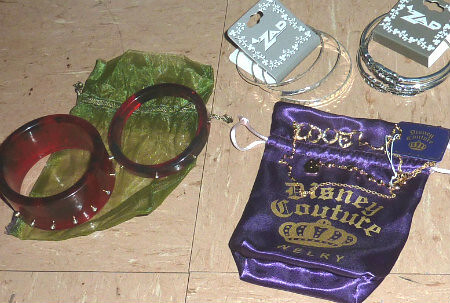 Also in my box were the ZAD set of 3 hammered bangles, Disney Couture “Love” necklace, and the Lee Angel Resin Bangle set. The box arrived in the same timeframe as the last box and thankfully nothing was not broken this time. 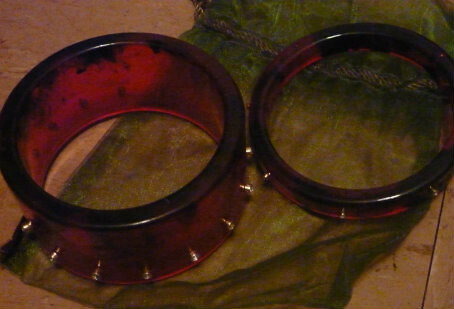 See pictures below for the items. I decided to cancel my subscription not because I didn’t receive good customer service or that the products weren’t any good. I canceled simply because the service is a bit overly expensive for my taste. Nearly $50 a month for 2-3 high end products is a bit expensive for my taste. I know that I’m saving money, but ultimately it wasn’t enough for me to keep the subscription at this time. I may decide to pick up the service again in the future, but at this time I’m not entirely happy with the price of the service.